Today's economy makes it even more difficult for a business to get bank loans and other traditional sources of funding. The result is a high demand for business financing with many businesses losing out on growth opportunities due to the lack of working capital financing. However, businesses that need immediate financing do have options, factoring being chief among them. Below is a look at factoring and its benefits for freight businesses, especially during the holidays. If a business has outstanding accounts receivable, it will be out of those funds until their customers pay for the services or goods. In many cases, the wait can be lengthy with some customers taking months to make payments. This can be problematic since a growing business will need funds to pay its employees, cover operating expenses and more. With factoring, they can sell their accounts receivable. This is not the same thing as borrowing against the accounts receivable (invoice discounting) as the business incurs no debt. Instead, they transfer the right to collect on their customers' debts to another entity. Freight factoring can help a freight company to manage their cash flow, especially if they are newly formed and do not have much in the way of reserve funds. The company will bill their customers and then provide the factoring company with copies of the invoices. The factoring company pays them and then takes care of collecting from the customers. The holidays can have a significant impact on enterprises. While the amount of business you get tends to go up, payments may be delayed until after January. It will therefore be necessary for a business to take steps to prevent liquidity problems throughout the holidays. For a trucking company, this can mean checking a shipper's credit history before working with them. They should also pay attention to paperwork like bills of lading and freight bills so that they can avoid fines. Another good idea is to offer discounts to customers who make payments early. However, if they need a more reliable way to finance the major expenses needed for growth, factoring is an excellent option. Factoring can provide your company with working capital and your customers will not have to pay any faster than they would normally. With freight factoring, your company will be able to cover the costs of fuel, payroll and maintenance. You will be able to take on more loads and bring in more revenue that can allow your company to grow. Another benefit of factoring is that you can continually increase the amount you get as your company grows. The amount of funding is not limited the way it would be with a conventional bank loan. There are many obstacles to the success of a freight company but cash flow should not be one. 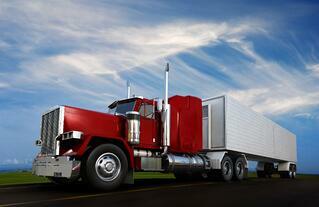 Freight factoring is one of your best options for getting the cash that you need to grow. Check out Bay View Funding’s fuel incentives or contact our team for more information.